Long gone are the days when HR used to merely manage administrative tasks and play a supporting role in the business. Over the past few years, HR has transformed itself into a most valuable asset to the organization. It has increased its credibility by participating in strategic business functions and sharing insightful opinions to make company’s strategic decisions. Since HR leaders are responsible to manage people-related processes, it gives them better insights to challenges and issues related to the workforce. Thus, industry experts believe that HR can contribute in developing best business strategies. Today, HR is empowered with knowledge, business insights and tools to be a part of the conversations where future of a business is determined. Thanks to technology initiatives, HR is largely relieved from the administrative tasks and can invest more time on strategic initiatives such as planning workforce capabilities, managing talent repository and ensuring that talent needs are always met in a proactive manner. Figure (Source): Should an HR Leader have a place on the Board of Directors? A CRANET/ SHRM/CIHRS 2014/15 report demonstrates the results of a survey where almost 700 HR leaders participated. It was found that, “83 percent of organizations use online HR management systems, with 67 percent using an employee self-service option”. Organizations have automated transactional processes that earlier used to take major part of an HR’s work day. » More than 60 percent of survey respondents believe that technology is very effective to manage payroll, retirement, benefits administration, and time and attendance tracking. » More than 95 percent respondents find that technology is effective to manage variety of HR tasks, including onboarding, recruitment, performance management, talent management, training and development and other functions. HR being the most valuable resource for an organization, can now spend time on processes that matter the most. 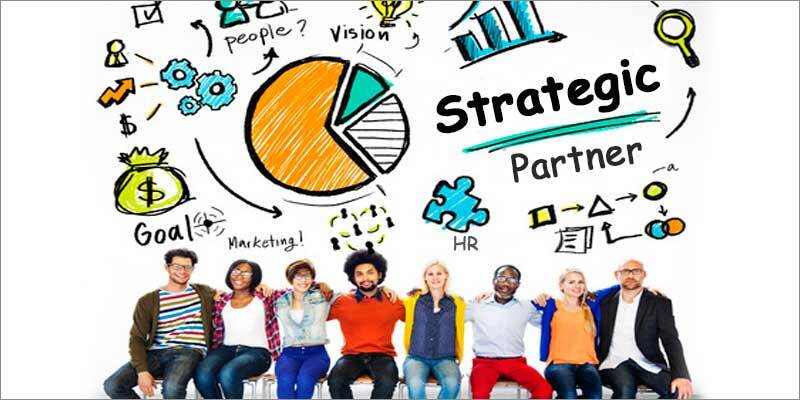 How can HR become a Strategic Partner? By changing the mindset: Though HR is becoming a strategic partner by bringing innovative ideas on the table, yet there are companies that don’t believe in the concept. Human resource professionals need to change the mindset that the role of human resources is not only to manage administration needs, perform transactional operations or meet compliance, but it goes beyond. The role of HR is ever evolving. Francis Padamadan, country director, KellyOCG India said, “Forward-looking organisations involve HR in a lot of business-related decisions as it has a bearing on strategy, people/their roles and in general, the culture of the company. HR is expected to contribute not just from a talent, but an employer branding perspective too.”, as quoted from a post published by HRKatha. By understanding the business deeply: It is important to understand all aspects of a business and know how different parts function together. Have basic information about: How does the company generate revenue? Who are the competitors? What makes your business different from competitors? Knowing in and out of a business is necessary to create better strategies that can go a long way. 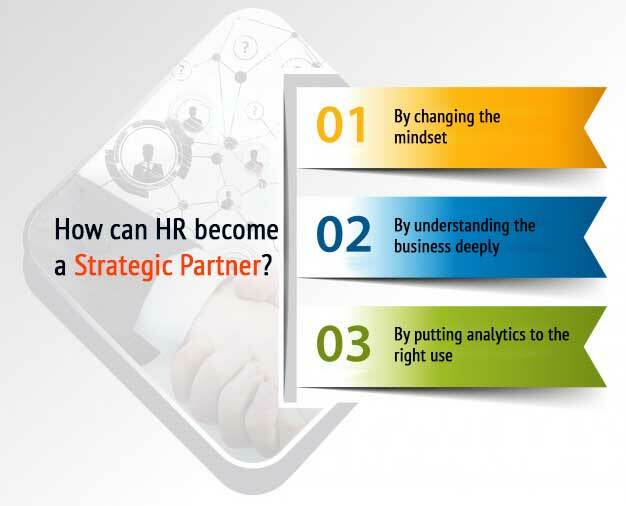 By putting analytics to the right use: HR Analytical tools have become important in the recent times. Strategic data insights provided by analytics and reports makes HR more informed and objective. These tools aid in identifying high potential employees and predicting which employees may be at the risk of leaving the organization. Through analytics, employee leave trends can also be found out. Leveraging the accurate data insights put HR in a strong position to voice out opinion at strategic discussions. Takeaway: HR Technology does help Human Resources in increasing its effectiveness and making it a strategic partner by its contribution to business decisions and in achieving organizational goals.